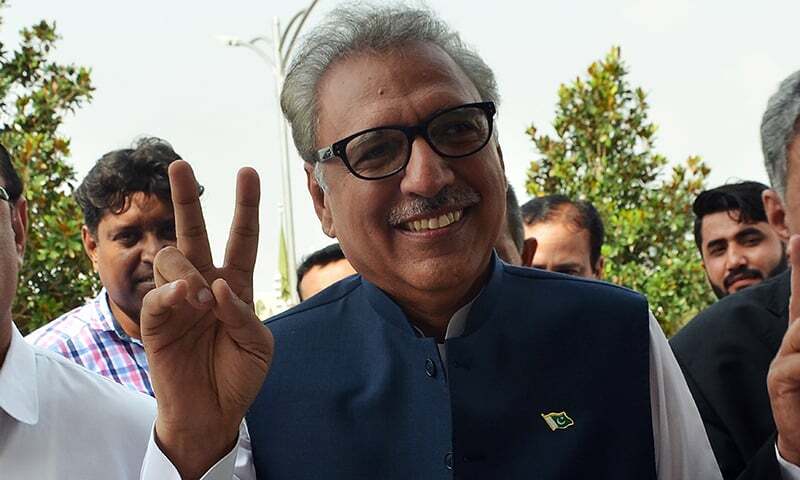 Official count shows Alvi received 44 more electoral votes than collective haul of Aitzaz, Fazl. 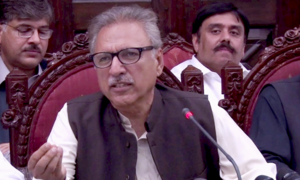 "It is believed that those close to Pervaiz Elahi in the PML-N chose to discard their votes to indirectly benefit Alvi." 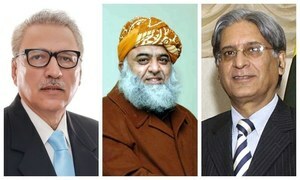 The three seasoned politicians are in the race for the office of the head of the state. 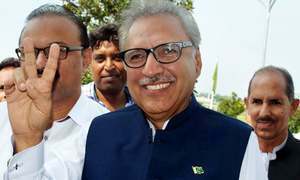 "From today I am not just a PTI-nominated president but the president of the entire nation and all parties," Alvi says. 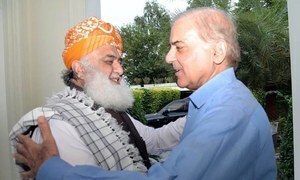 The JUI-F chief received warm welcome but no clear-cut ‘yes’. 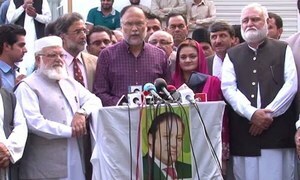 Ahsan hopes that members of the PTI and JUI-F will also cast votes in his favour. 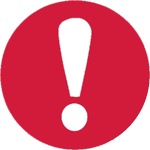 "I have three names for the post: Aitzaz, Aitzaz, Aitzaz," sources quote Bilawal as saying. 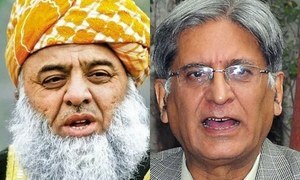 JUI chief seeks a meeting with PPP co-chairperson to convince him to have the opposition alliance on the same page. 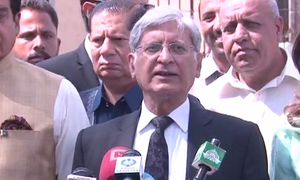 Says he cut short his foreign visit on Dr Alvi's request. 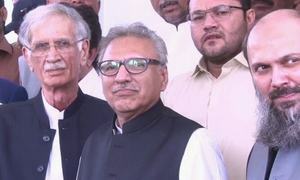 Information Minister Fawad Chaudhry says Arif Alvi will become president as PTI has the support it needs. 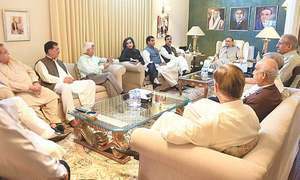 Opposition opposes move to allow overseas Pakistanis to vote in October by-elections, terming decision 'hasty'. 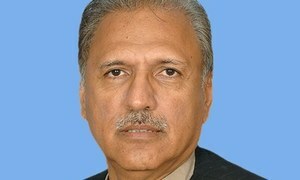 Dr Alvi is regarded as one of the authors of the PTI’s constitution. Nomination confirmed by Fawad Chaudhry in Twitter post. 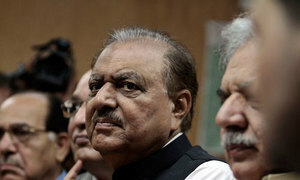 ECP issues schedule for lead-up to election of president.